Bangalore : Royal Challengers Bangalore required 7 runs on the final ball to win the game against Mumbai Indians, Lasith Malinga bowled the ball aiming at the stumps, it was a dug out towards long off, as Mumbai Indians got home by 6 runs. 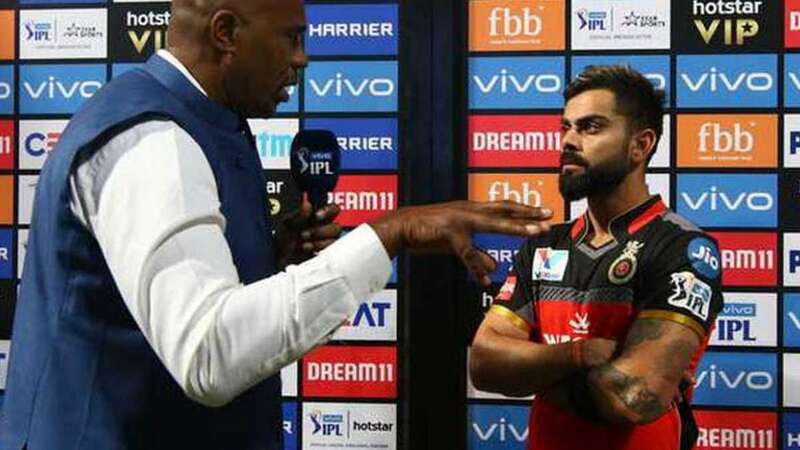 However, cameras showed that the last ball bowled was a no-ball as Malinga overstepped, this was not spotted by the field umpire; angered with the incident, Virat Kohli slammed the umpire during the press conference. Speaking about the performance of the team, he praised AB de Villiers performance and asked other players to get into the tune. “A few more strikes apart from AB could have done the job for us. We need to be smarter at death bowling. Sure they guys will take a lot of learnings from the game. I think the way they bowled, we can learn from their game. The onus is always on each and every member of the team. I got out at a wrong point of time. Shivam was good as well. I mean Jassi is a top-class bowler. A bit of a mistake from me to take him on at that stage. Mumbai is lucky to have him. And also Malinga. And if Jassi is in good form, it is good for India,” the captain added. Mumbai Indians skipper Rohit Sharma also supported Virat Kohli's words and said mistakes are not good for the game, umpires should remain more alert during the game.